(CNN) – Jon Huntsman, the former U.S. Ambassador to China regarded by some Republicans as a potential white knight who could rescue an otherwise uninspiring 2012 field, is officially dipping his toe in the presidential campaign waters Thursday, set to begin a five-day venture consisting of old-fashioned retail politics in the key primary state of New Hampshire. Huntsman - the onetime governor of Utah who recently returned from his post in China after he was tapped for the job by President Obama in 2009 - has scheduled 11 events in as many towns during his five-day swing, including appearances at several house parties, a VFW hall, gun shops and general stores, and a local library. The most high profile event will come Saturday when Huntsman delivers the commencement address at Southern New Hampshire University. (CNN) – Indiana Rep. Mike Pence announced Thursday he is running for governor of his state, a widely expected move after the popular conservative decided not to run for president earlier this year. "Over the past several months, we've traveled across this state, meeting with people in every walk of life. 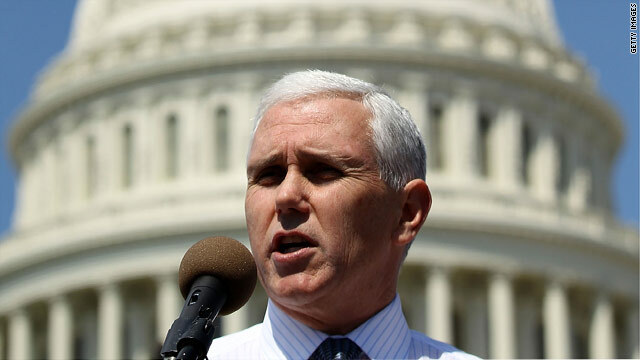 We've listened and learned where Hoosiers think we might best serve Indiana in the years ahead," Pence said in a web video announcing his candidacy. "I've been humbled by the outpouring of encouragement we've received from people across this state... and it's for that reason today, I'm announcing my candidacy for the Republican nomination for governor of Indiana in 2012." 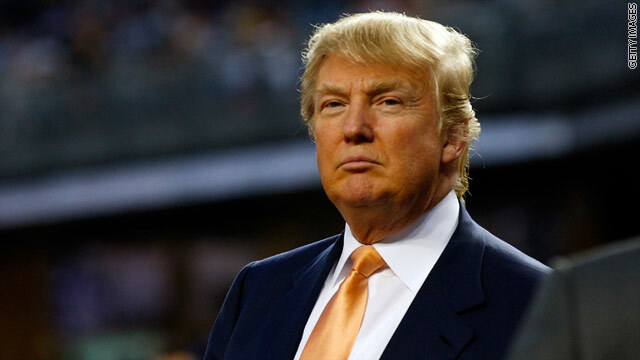 (CNN) - Fresh off scoring a meeting with Donald Trump, Arizona State Rep. Carl Seel says the business mogul is "very supportive" of his proposed so-called "birther bill" that would require any presidential candidate to prove that he or she was, in fact, born in the United States. "Mr. Trump is very supportive of my bill to just simply require anyone running for president, or, in the case of Arizona, anyone running for any office, to show that they're lawfully qualified to run," Seel told reporters after his meeting with the potential Republican presidential candidate. (CNN) – Donald Trump should quit questioning President Obama's birthplace, says Tim Pawlenty, a potential future opponent of Trump's for the Republican presidential nomination. 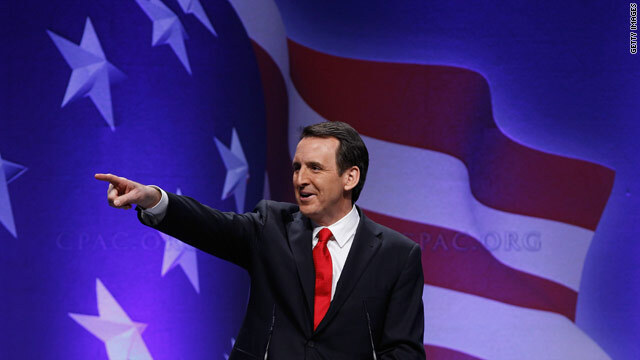 Appearing on MSNBC's Morning Joe, Pawlenty said he doesn't doubt Obama was, in fact, born in Hawaii and says members of his party should stop pushing the issue. 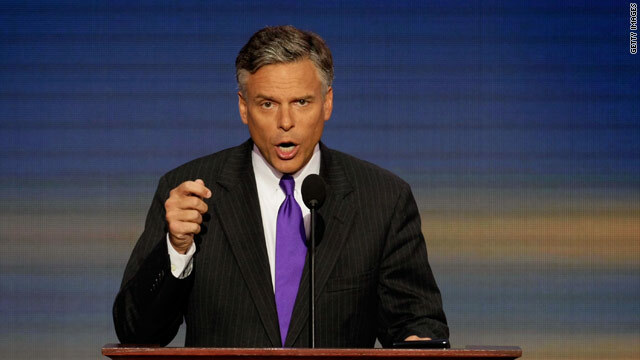 (CNN) - Supporters of Republican Jon Huntsman have all but put together a presidential campaign-in-waiting for the U.S. Ambassador to China when he officially leaves his post next month, but Huntsman's younger brother says 2012 might not be the right year. 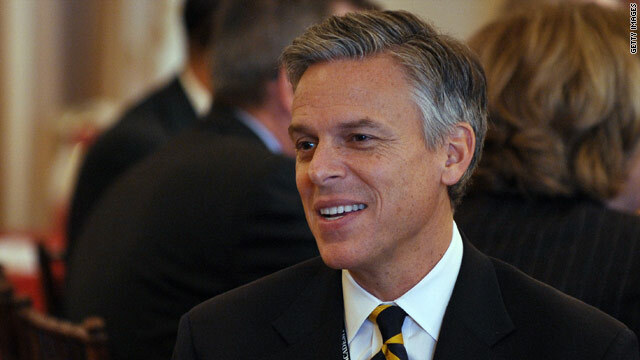 Speaking to Bloomberg News, Peter Huntsman confirmed his older brother is definitely interested in a White House bid. But whether that means a campaign later this year has not been decided. 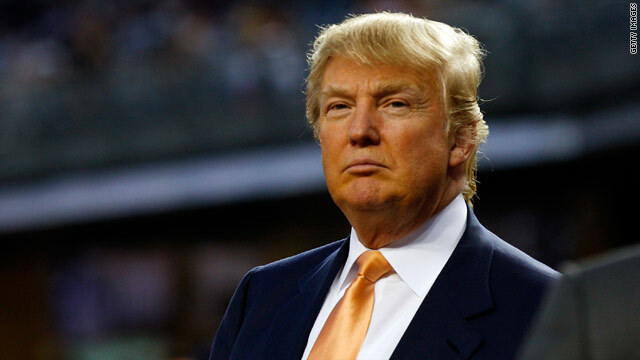 (CNN) – Donald Trump, the business mogul who continues to claim he is seriously interested in mounting a bid for the White House, says he has doubts about whether President Obama was born in the United States. In an interview with ABC, Trump said he finds it strange “nobody knew” Obama as a young child in Hawaii. 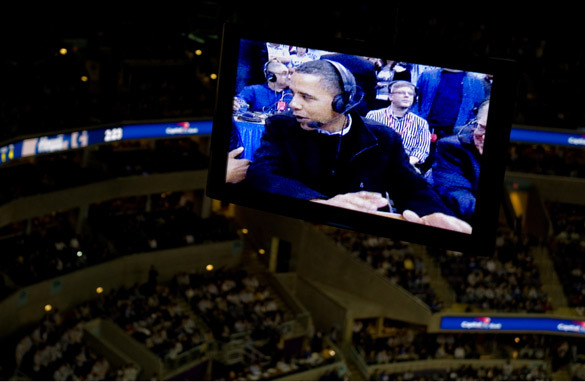 (CNN) – Republicans are taking aim at President Obama Wednesday for appearing on an ESPN segment to reveal his bracket picks for the NCAA Basketball tournament. The GOP's beef? The president should be focusing his attention elsewhere. 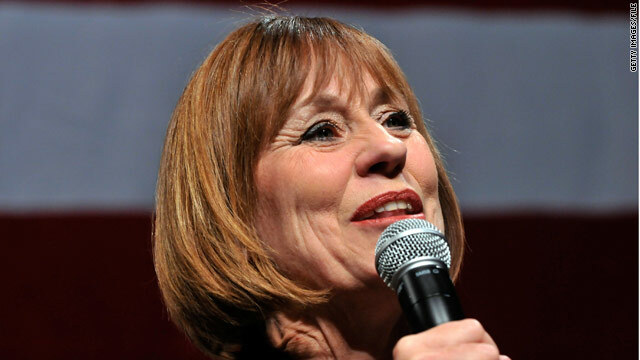 (CNN) – Sharron Angle, the conservative firebrand who narrowly lost her bid to unseat Sen. Harry Reid last November, announced Wednesday she will now seek a congressional seat. In an e-mail to supporters, the former Nevada State Assemblywoman said she plans to run for the 2nd Congressional District seat being vacated by current GOP Rep. Dean Heller. Heller, a two-term congressman, announced Tuesday he will run for the Senate seat scandal-plagued John Ensign is giving up. (CNN) – Newt Gingrich is slated to return to Liberty University in early April, six months after the likely presidential candidate delivered a speech at the Christian school founded by the late evangelical leader Rev. Jerry Falwell. 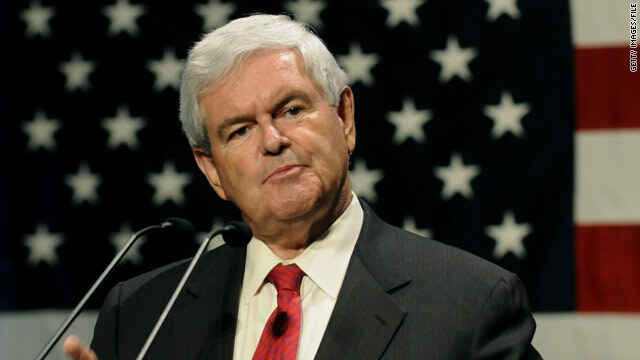 According to the university, Gingrich will join more than 40 conservatives for The Awakening conference, a gathering that aims to "empower a new revolution" around issues of faith and core social values. (CNN) – Sarah Palin's favorability rating among Republicans continues to slide as the former vice presidential nominee mulls a White House bid, according to a new survey. A Washington Post/ABC News poll released Wednesday indicates 58 percent of Republicans and Republican-leaning independents give Palin high marks, a 30-point drop from her favorability rating among the same group in the weeks leading up to the 2008 presidential election. It also marks a 12-point drop from a Washington Post/ABC News poll last fall when the former Alaska governor traveled the country on behalf of a string of congressional candidates.